As the blessed month of Ramadan steadily progresses Muslims in Barbados complete their fasts during the daylight hours and after Iftar flock to the masajid and other special places arranged for the taraweeh prayers. Barbadian Muslims over the years have benefited from listening to a portion of the Holy Quran from the very beginning being recited every night by huffaz (pl of hafiz, memorizer of the Holy Quran) during the taraweeh prayers with completion taking place during the last ten nights of Ramadan. The highly recommended practice of memorizing the Holy Quran, a tradition that goes back to the first revelation received by our Noble messenger, Muhammad, peace be upon him, has taken root among the Muslim community of Barbados. The Muslim community of this small island, although few in number (approximately 2000) now has in its midst over 100 hafiz-ul-Quran, with scores more of young persons enrolled in hifz (memorization) classes at various madaris (Islamic schools) across the island and several others studying overseas. This practice is not new among the Muslim community whose majority traces their roots to the villages of Gujurat, India or who themselves have migrated from there. Muslims there look strongly to this tradition of having at least one hafiz in the family as a source of blessings and pride. In fact Sabir Nakhuda in his recently published book, Bengal to Barbados, noted that among the first Gujurati Muslims to arrive in Barbados in 1929 was a hafiz, Suleiman Kasooji. His knowledge of the Quran and the fact that he was a hafiz made him the leader of the prayers and teacher among the early Muslims to Barbados. In Ramadan 2013 in Barbados, an island of only 166sq.miles, a record 50 to 60 hafiz are leading taraweeh prayers at various locations on the island. From the established masajid to musallas (prayer rooms) to special places just set up for the purpose of taraweeh to a group of Muslim moving around the island in a ‘jamaat’ for the first 20 days of Ramadan under the guidance of Barbadian, Mufti and hafiz, Saeed Adam, praying their taraweeh prayers sometimes under coconut trees. Muslims in Barbados are having the opportunity of hearing the complete recitation of the Holy Quran. Additionally, huffaz from Barbados are being ‘exported’ to lead taraweeh prayers in other islands across the region that does not have the luxury of huffaz in their own communities. Within the last five years huffaz have travelled to Guyana, Trinidad, St. Lucia and Jamaica to lead taraweeh prayers. Some have even travelled to the United States. And this year for the first time a Barbadian hafiz have travelled thousands of miles to the other side of the world, to Japan. 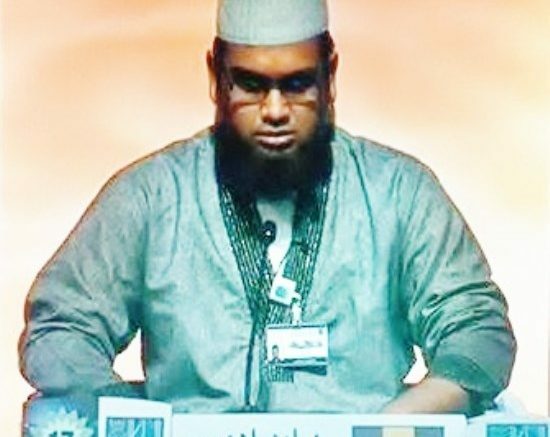 Hafiz Mohamed Patel who represented Barbados in the Holy Quran International Award in Dubai two years ago was invited to Tokyo to lead taraweeh prayers. Sharing his experience thus far, hafiz Mohamed says he is extremely excited to be in such a different place, seeing new things and having new experiences. With the growing number of huffaz, Barbados has been able to participate in several international Holy Quran competitions, last year saw huffaz being sent to represent Barbados in competitions in Dubai, Mecca, Saudi Arabia, Libya and Moscow, Russia. In the 17 annual Holy Quran Award in Dubai this year Barbados was represented by hafiz Arshad Patel, the 11 year that the island has sent a hafiz to compete in this prestigious competition whose prizes are extremely generous. Female memorizers are not left out as there are also some in the community and some on their way to completion. A few years ago a hafiza represented Barbados at an all female competition in Tripoli, Libya. And while traditionally memorizing begins at an early age we have had persons in their 50’s as well making the effort and being successful at completion. Ramadan certainly brings to light the fact that the practice and culture of memorizing the Holy Quran has taken root among the Muslims of Barbados. Noteworthy is that all the appointed Imams of the three main masajid are both scholars of Islam and hafiz-ul-Quran. As many families draw their inspiration from several ahadith on the subject the following 2 sayings of the beloved Messenger of Allah perhaps creates a strong motivation to continue this tradition well into the future with at least one hafiz/hafiza in each Muslim household in Barbados not an unrealistic goal. Sadly just before Ramadan the Muslim community buried a hafiz, not an old person, but one who was stricken with cancer. At his janazah his teenage son, who recently completed his hifz, led the prayers bringing some comfort that the legacy of memorization of the Holy Quran would continue in Barbados. 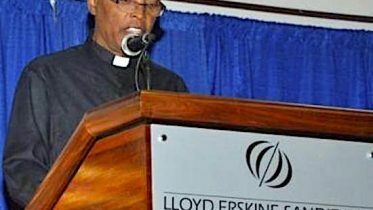 Be the first to comment on "THE HUFFAZ OF BARBADOS"